Just one day after the airbag seatbelts were installed in the Super Cub, AmSafe received FAA supplemental type certificate approval on July 12 for its new State of the Art Restraint System (SOARS) for airplanes certificated under Part 23 and older regulations. 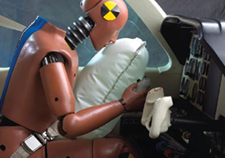 The move makes airbag seat belts available for many more aircraft. The system is available in two- and three-point harness configurations on 541 Part 23 aircraft and can be retrofitted on experimental aircraft that have two- or three-point harness seat belts. AmSafe is selling the kits (kit includes pilot and copilot seats) for $2,580.